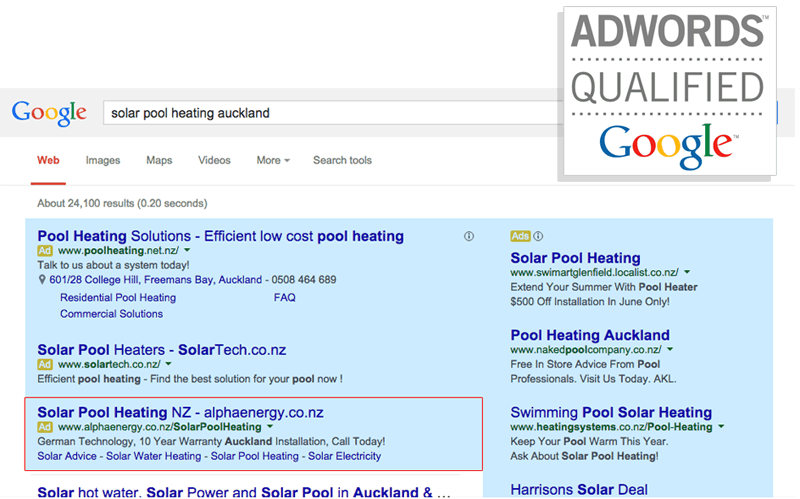 Helping Tauranga & Bay of Plenty businesses attract more customers by increasing website traffic with Google Adwords™. When we build a website for you, we generally try and grow your website organically - meaning we code and structure your site in a way that is good for search engines to find your pages without you spending any additional money. Sometimes though, we find our clients to be in very competitive industries - 'solar power' or 'web design' for example - where their website pages are not ranking as quickly as we'd liked. This is where a Google Adwords™ Campaign can help visitors find your product or service quicker and xeno now has a dedicated Google Certified Adwords™ Specialist onboard. With Google Adwords™, you can target your ads to customers in certain regions or cities (Tauranga or Bay of Plenty for example) – or within a set distance from your business or shop. These ads are highlighted by the blue area in the screenshot above. After the initial research, we report back to you with our findings, answer any questions you may have and outline the costs to you. Next step is to create compelling and dynamic ad content to maximise CTR (Click Through Rates) and get your campaign up and running. We track your campaign's success by using the reporting tools we have running behind your website. Your campaign will be analysed on a weekly basis checking to see where your adverts rank, how many people notice your ads and what percentage click to visit your website or call you. So how much do I need to spend? Your daily budget will be advised once we have undertaken our initial research (see above). 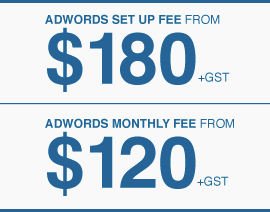 Call 021 392 927 or email us now to get your Google Adwords™ Campaign started. *Pricing is in $NZD and subject to GST for New Zealand businesses. All pricing subject to change. Set up fee charged upfront with monthly management fees charged every 30 days.